I found it really encouraging, really insightful, and very much worth the investment of my time to read it. The lessons drawn from a very powerful movie really make his points clear and his lessons articulate. 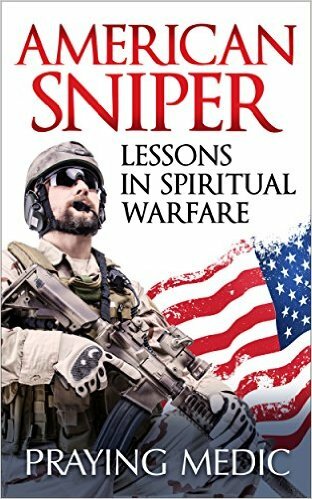 Drawing upon scenes from the popular film American Sniper, Praying Medic gives readers a look inside the mind of a well-prepared kingdom soldier. Relying heavily on the use of analogy and symbolism, the author compares the life of a Navy SEAL to the life of a Christian. The book closely follows the script of the film. With each scene the author illustrates principles of spiritual warfare, drawing from his own life experiences and from many spiritual dreams he’s had. The goal of this book is to help believers assess their state spiritual preparedness and identify any deficiencies they might have. Resources are recommended for further training and equipping, if needed. Because so many lives have been devastated by the kind of emotional trauma portrayed in the film, the last chapter includes a simple approach to healing emotional trauma that can be used by virtually anyone. Whether you’re a pastor or just someone who wishes to be better trained and equipped for ministry, this book will add a few more tools to your arsenal. In Donald Miller’s early years, he was vaguely familiar with a distant God. But when he came to know Jesus Christ, he pursued the Christian life with great zeal. Within a few years he had a successful ministry that ultimately left him feeling empty, burned out, and, once again, far away from God. In this intimate, soul-searching account, Miller describes his remarkable journey back to a culturally relevant, infinitely loving God. For anyone wondering if the Christian faith is still relevant in a postmodern culture. For anyone thirsting for a genuine encounter with a God who is real. For anyone yearning for a renewed sense of passion in their life. Blue Like Jazz is a fresh and original perspective on life, love, and redemption. Miller (Prayer and the Art of Volkswagen Maintenance) is a young writer, speaker and campus ministry leader. An earnest evangelical who nearly lost his faith, he went on a spiritual journey, found some progressive politics and most importantly, discovered Jesus’ relevance for everyday life. This book, in its own elliptical way, tells the tale of that journey. But the narrative is episodic rather than linear, Miller’s style evocative rather than rational and his analysis personally revealing rather than profoundly insightful. As such, it offers a postmodern riff on the classic evangelical presentation of the Gospel. The title is meant to be evocative, and the subtitle –”Non-Religious” thoughts about “Christian Spirituality” – indicates Miller’s distrust of the institutional church and his desire to appeal to those experimenting with other flavors of spirituality. On October 20, 2006, a middle-aged auto mechanic, Jeff Markin, walked into the emergency room at the Palm Beach Gardens Hospital and collapsed from a massive heart attack. Forty minutes later he was declared dead. After filling out his final report, the supervising cardiologist, Dr. Chauncey Crandall, started out of the room. “Before I crossed its threshold, however, I sensed God was telling me to turn around and pray for the patient,” Crandall explained. With that prayer and Dr. Crandall's instruction to give the man what seemed one more useless shock from the defibrillator, Jeff Markin came back to life--and remains alive and well today. But how did a Yale-educated cardiologist whose Palm Beach practice includes some of the most powerful people in American society, including several billionaires, come to believe in supernatural healing? The answers to these questions compose a story and a spiritual journey that transformed Chauncey Crandall. Chauncey Crandall IV, M.D. is an eleventh generation American, born and raised in Virginia just Washington D.C.. His background includes seven generations of ministers, some of which helped birth religious freedom in the New World. Dr. Crandall runs after all that God has to offer and is not afraid to walk firmly in his faith. He walks in bold humility and his faith in God has led him to see countless miracles. He lectures and ministers on a national and international level. He is committed to his Savior, the power of the Holy Spirit, and his family. A one-of-a-kind book in both subject and perspective! The Practice of Honor is about reformation of honor—it is intended to disrupt your current model of authority! Jesus put it like this, “You know that the rulers of the Gentiles lord it over them, and those who are great exercise authority over them. Yet it shall not be so among you; but whoever desires to become great among you, let him be your servant” (Matthew 20:25-26). In some realms, honor is something defended to the death. However you have defined and cultivated honor up to now, The Practice of Honor may require a significant paradigm shift in your thinking. Based on the revival culture of the very spiritually successful Bethel Church in Redding, California, this book is also a template to help any leader develop an environment that brings out the very best in people. The Practice of Honor is a recipe for introducing the Spirit of God, and all of His freedom, and how to host and embrace that freedom as a community of believers. Those with power must learn how to empower those around them—or Heaven on the earth will never be realized as God intended. During danger, He will keep me safe in His shelter. He will hide me in His [holy] tent. Or, He will protect me on a tall mountain (Psalm 27:5 PEB). There is only one hiding place, one place of true covering and security-the Manifest Presence of God. · Your religion will not protect you. · Your doctrines will not deliver you from evil. · Your denomination will not save you. · Your degree will not heal you. The Scriptures and history have proven time and again the Manifest Presence of the Lord is our only hiding place, our only deliverer, our only healer. As King David found, "The Always-Present One is my Rock, my place of safety, and my Savior. My God is my Rock. I can run to Him for safety. He is my Shield and my Saving Strength, The Always-Present One is my High Tower"(Ps. 18:2 PEB). For the past 37 years, author Don Nori has been a persistent advocate for the Presence of Jesus within the heart of every believer. His personal experience and his keen insights are evident in this incredibly revealing book. · Abiding, interactive relationship with God. · A refuge from the coming storm. · The place where genuine worship touches God. · How the constant miraculous is a daily experience. · His fullness manifested in your heart. Move from the constraints of Christless religion and the recklessness of random spiritualism to the place where Manifest Presence genuinely rules your heart. The truths in this book will change your life forever. Those who go to the Most High for safety will be protected by God Almighty (Psalm 91:1 PEB). From sin to goodness, from the city to the country, and from the boy to the man; Australian author Matthew Robert Payne takes us on a spiritual journey in Part 1 of “His Redeeming Love.” This memoir attempts to banish the lingering shame of his childhood sexual abuse and a long-term addiction to sexual activity with prostitutes. He travels a sometimes lonely path, but he is thirsty for the love and connection that only faith can bring. He marries and divorces Sharryn, and his estrangement from their son Brandyn makes for some of the most painful moments in the story. 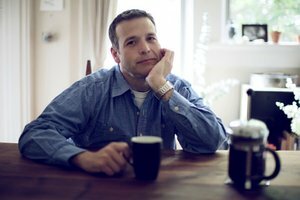 Diagnosed with bipolar disorder, some of Matthew’s struggles now have a name. He has suicidal thoughts but his mother and his younger brother pull him back from the brink of taking action. He testifies, “Yet, through all my shameful life and all my sin, Jesus has always been with me.” Both Christians and seekers can benefit from understanding this life journey. Sin, suffering, joy and blessings can draw us all closer to His Presence. This updated text edition of the HCSB is optimized for easy reading on digital devices. Free from the visual clutter of footnotes, cross references, and other links, this edition is fast to navigate and easy to use. The HCSB was developed by 100 scholars and English stylists from 17 denominations, who prayerfully translated what is one of the most significant Bible translations available today. The HCSB reflects linguistic advances in vocabulary, grammar, punctuation and formatting while it retains meaningful theological terms. In the HCSB you'll find God's personal name (Yahweh), the use of "Messiah" in the New Testament, and the use of "slave" in the New Testament, just to name a few examples. Also, you'll notice the contemporary speech patterns in the HCSB mean that words like "behold" and "shall" are not used. Instead, words or phrases that are common today can be found in their place. The HCSB employs a first-of-its kind translation philosophy known as Optimal Equivalence, which seeks to achieve an optimal balance of literary precision and emotive clarity through a comprehensive analysis of the text at every level. This process assures maximum transfer of both words and thoughts contained in the original. The whole Bible, in a (good!) new translation.